Every building is unique in their needs. We will work with you to custom design a solution to meet your needs and budget. Are you in need of a simple, easy-to-install solution for your home or small office building? We have pre-packaged kits available for spaces up to 10,000 sq,./ft. We have a comprehensive line-up of vehicle, IoT and M2M solutions to meet all of your needs. 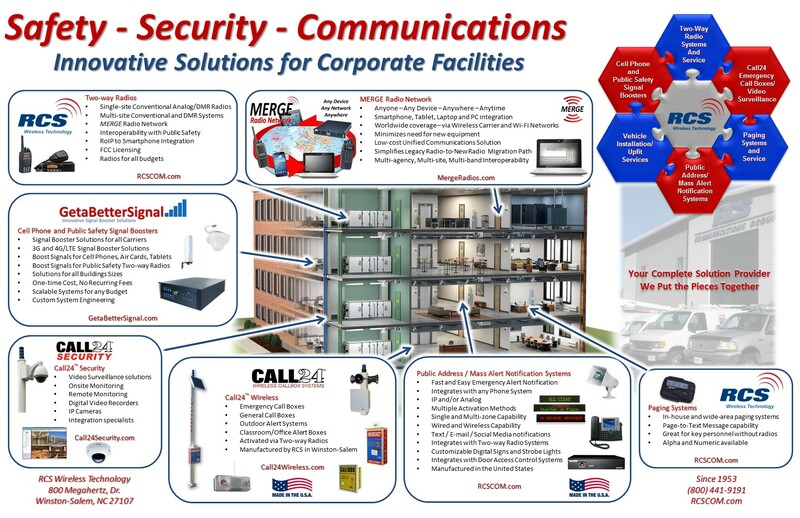 We have VHF, UHF, 700, 800 and 900 MHz signal booster solutions to meet all of your Public Safety and LMR needs. ﻿"Quite honestly, I think it will lead to better care in our hospital." ﻿Feeling confused by so many choices and not knowing which way to turn? Let us help guide you through the selection process. Having designed numerous Passive DAS Signal Booster Systems over the past 5 to 6 years across the United States, our dedicated and talented installation technicians at GetaBetterSignal have experienced almost any situation imaginable. Reach out to us and let us assist you in identifying the best solution for your needs. Click the Boosters below to proceed to our store.